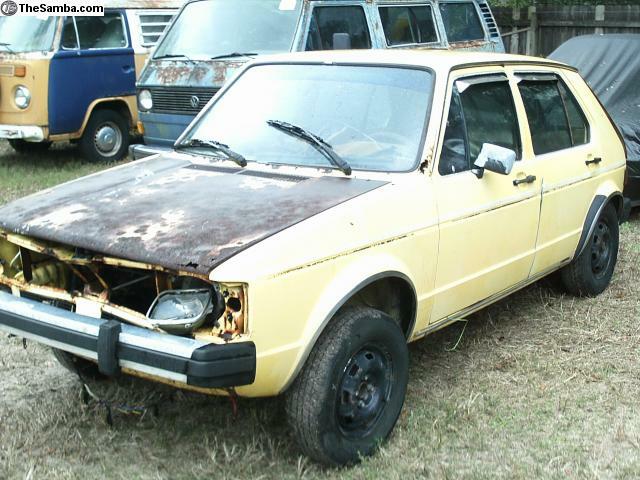 1984 Yellow VW Rabbit Diesel Deluxe for parts - whole car or specify which parts are needed (email me for individual prices). 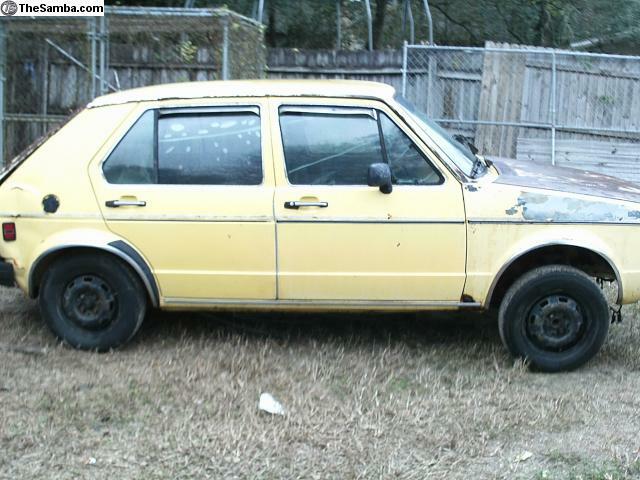 I have the engine and transmission which are also available at a separate price. 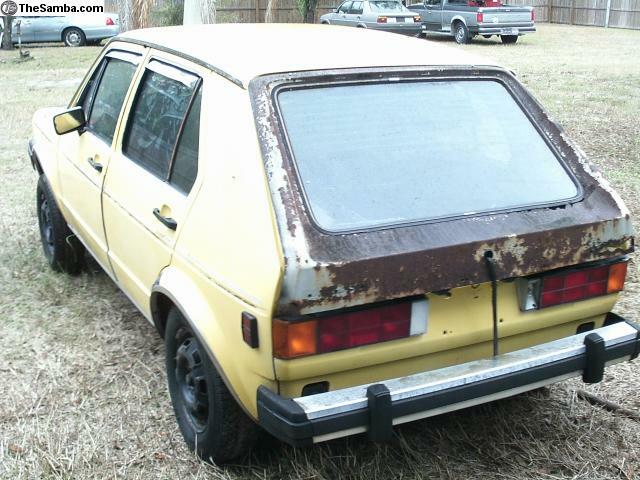 Good parts on the car include doors, fenders, glass and bumpers. NO floorpans. Clean title if you want the whole chasis.